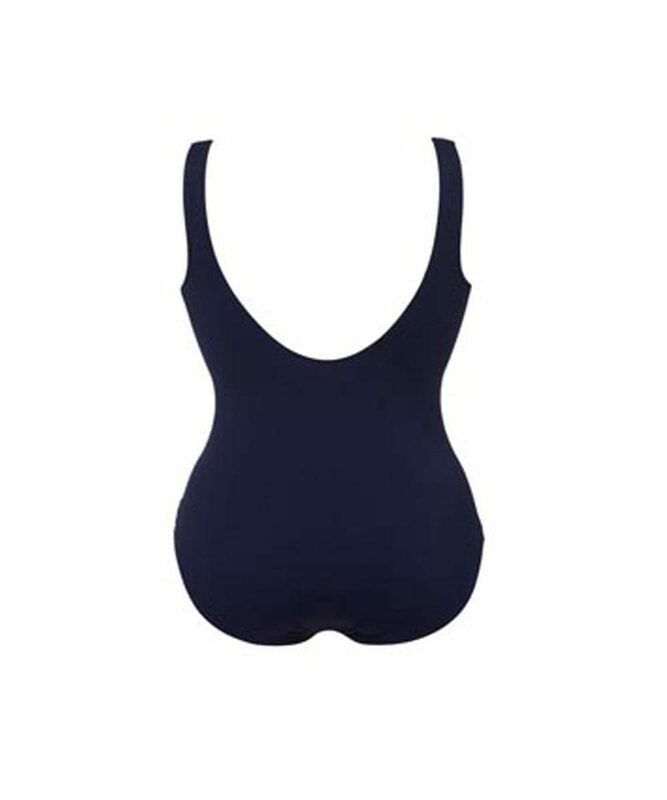 8032- From Tweka the Fondu one piece swimsuit is a chlorine resistant suit with a modest scoop neck and mid height leg. In dark blue and with a striking lily print. 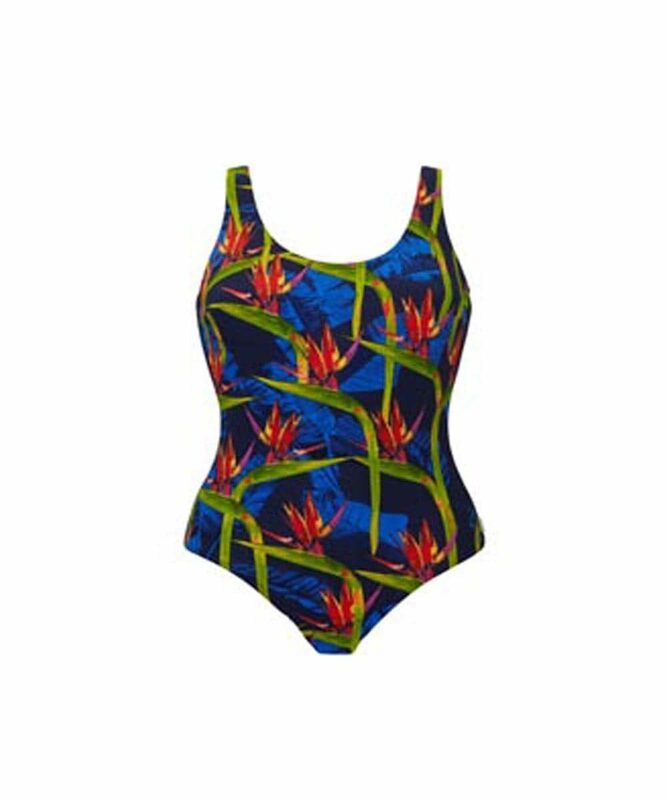 The Tweka Fondu one piece swimsuit features a striking artistic lily print. In a modest style with a sports neckline and soft cup support. With a scoop back and mid height leg for a modest look. It’s loved by swimmers due to it’s good coverage and support. Chlorine resistant fabric will ensure that it won’t shred. While it’s modern design will mean you’ll be able to wear it for years to come. This suit is perfect for regular pool swimmers and beach-goers alike.